A virtual private cloud is a virtual network launched through a cloud computing provider. The virtual private cloud looks very much like a network that is operating in-house, but unlike in-house networks it can scale up or down and has the redundancy of the cloud. Amazon Web Services (AWS) offers Amazon Virtual Private Clouds. However some customers need more than just a virtual private cloud to store data and process information in the cloud. Although a virtual private cloud is dedicated to only one customer, the VPC may run on a server in the cloud provider’s data center alongside other customers’ virtual private clouds. Some organizations need to make sure that their data is not hosted on the same physical hardware as others and so for this, AWS offers AWS Dedicated Instances. AWS Dedicated Instances are Amazon Elastic Cloud Compute (EC2) instances that not only run on a virtual private cloud, but the VPC runs on hardware that is dedicated solely to that customer. With Dedicated Instances, computing instances are physically isolated from other customers to guarantee that the every single bit of data stored in the VPC belongs to one customer. Some businesses in specific industries need this physical isolation of data due to compliance standards from regulatory agencies. Others simply prefer (out of precaution) that only their data and information are stored on a piece of hardware to reduce the risk of contamination of data from another cloud customer. An advantage of cloud computing is that users only pay for what they use. 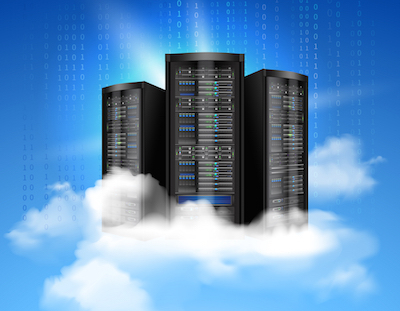 Dedicated Instances much like standard EC2 cloud computing instances offer on-demand pricing. This pricing method allows users to pay by the hour only for what was used. In order to save even more money on computing costs, users have the option to get up to 70% off by paying in advanced for Reserved Instances. Paying upfront offers a significant cost savings for businesses (though it does require a significant investment of money up-front as opposed to paying on a month-to-month basis. The good news is though that with the month-to-month on-demand pricing, there is no commitment so users can cancel or upgrade or downgrade at any time. Setting up a Dedicated Instance in Amazon Web Services is surprisingly easy to do. Users simply open their AWS Management console and log-in with their subscriber credentials. Under the Amazon VPC tab, a user then creates an Amazon VPC. After the virtual private cloud is created the user selects “Launch Instance” from the EC2 Dashboard, and then chooses “Launch Instances Into Your Virtual Private Cloud.” Once this is all set up, the user then uses the Request Instances Wizard to change the instance tenancy from Default to Dedicated. That’s it. Once the instance tenancy is changed, users are able to operate their dedicated instances on isolated hardware that doesn’t share space with any other customer. For more information about AWS Dedicated Instances or for assistance with setting up your own Dedicated Instance, contact Privo IT today.